The most important element in getting your home sold is PRICE! 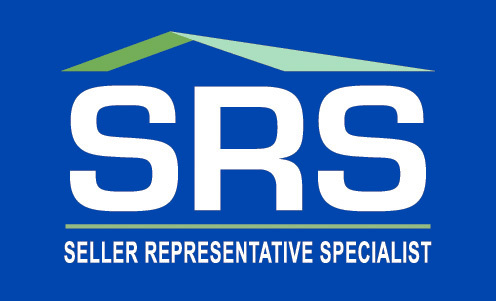 Unfortunately, many owners resist a realistic price when they are wanting to sell. While East Tennessee did not experience the drastic drop in value that many areas of the country did (Florida, Michigan, Las Vegas, Arizona, etc), our market did see a dip. The reality is, with many of today’s home sales being foreclosures, your house probably isn’t going to sell for what it did 4 or 5 years ago. The biggest reason is appraisal. Odds are good that whoever is going to buy your home is going to have to obtain a mortgage in order to purchase it. And part of the mortgage process is an appraisal. An appraisal is done by an independent third party. This person comes out to look at the house, see what condition it is in, get an idea of the floor plan, measure square footage, and so on. Then they are charged with seeing what other homes similar to yours have sold for recently. And recently usually means in the past 6 – 12 months. Normally they will use at least 3 and sometimes up to 6 comparables (houses like yours that have sold) to determine the value of YOUR home. If 50% of those comps (real estate short word for comparables) are foreclosures or short sales, then it will have a negative impact on the determined value. Most home owners take this very personally, and that is understandable. However, no one is saying you don’t have a nice house or that you haven’t taken care of it or anything negative towards YOU. What the appraised value says is that based on similar home sales in the area in the past six months, the law of supply and demand estimates your house to be worth $______. Why is price so important? Let’s say Suzie Buyer has been pre-approved for $150,000 mortgage. She instructs her REALTOR® to help her find a home in the $140,000 – $160,000 price range. 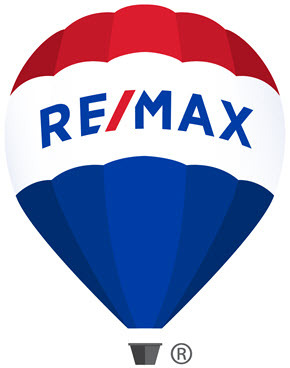 Your home has everything Suzie is looking for — great neighborhood, 3 bedrooms, 2 baths, garage, hardwood floors, etc. However, you argued with your agent about the list price and wanted to put it on the market at $165,000 just to see if you got any offers. Your agent had suggested $155,000 as the listing price. Suzie, who would absolutely ADORE your house and probably put in a full price offer, will never see your home because it is above her price range. The market we are currently in is known as a buyer’s market. That means there is an abundance of inventory and buyers are able to be selective and specific when choosing what home to purchase. They may have an upper hand in the negotiation. Typically in a buyer’s market, homes sit on the market for a while and sellers may drop their price in an effort to get the property sold. 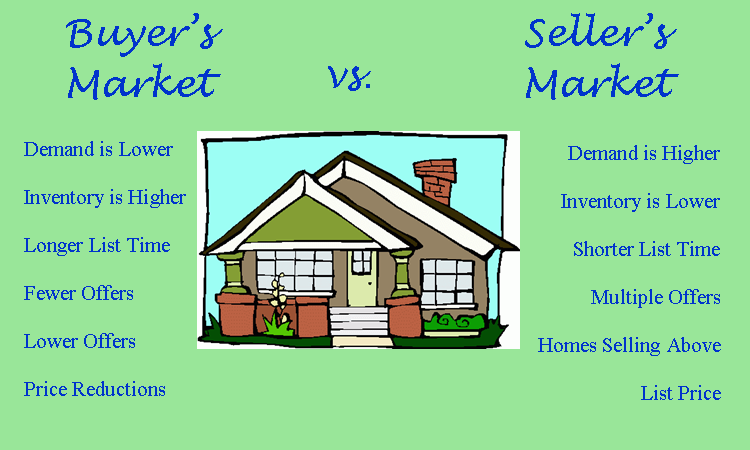 A seller’s market is what we experienced in 2003-2007. Sellers could define the terms of the sale because they had the commodity that everyone wanted. Homes sold quickly which helped values to appreciate quickly. I’m sure you have heard the phrase “Location, location, location” when it comes to real estate. Times have certainly changed because the mantra these days is “Price, price, price!” Pricing your home correctly is a crucial element to getting your home sold. Being in the top price level for houses similar to yours could mean a longer market time. It could mean interested buyers don’t see it. It could mean the difference between getting a contract and selling your home versus having it on the market for months with no offers. When your real estate agent, whether it be me or one of my colleagues, offers to show you a CMA (Comparative Market Analysis) on your home, be sure to review it carefully. This report will allow you to see what homes have sold, which ones are currently listed, and which listings have expired that are similar to yours. Your agent uses this information to determine the best price to not just list your home but to get it SOLD. If your agent does not have a CMA to offer you, please feel free to call or email me. I will prepare a market analysis for your home at no cost to you. To answer the question: Why hasn’t my home sold ? Price is the first element to look at. Neighborhood, location, curb appeal, and even the agent you are using could also be factors.